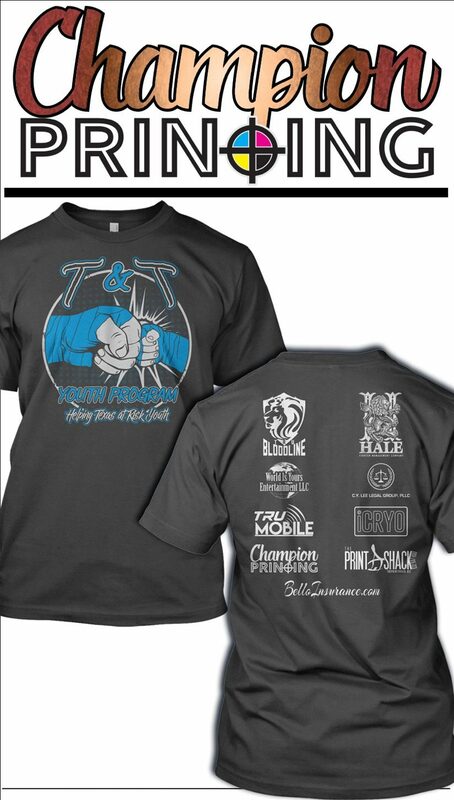 The fundraiser will be held on June 16th at the Campbell Hall located at the Pasadena Fairgrounds. Admission to the fundraiser is a donation basis at the door. 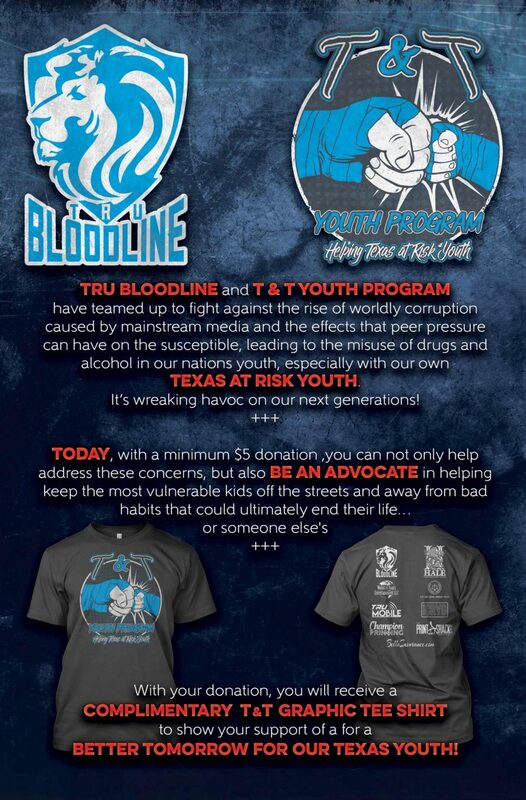 Generous donations will receive a T&T Youth Program Shirt! 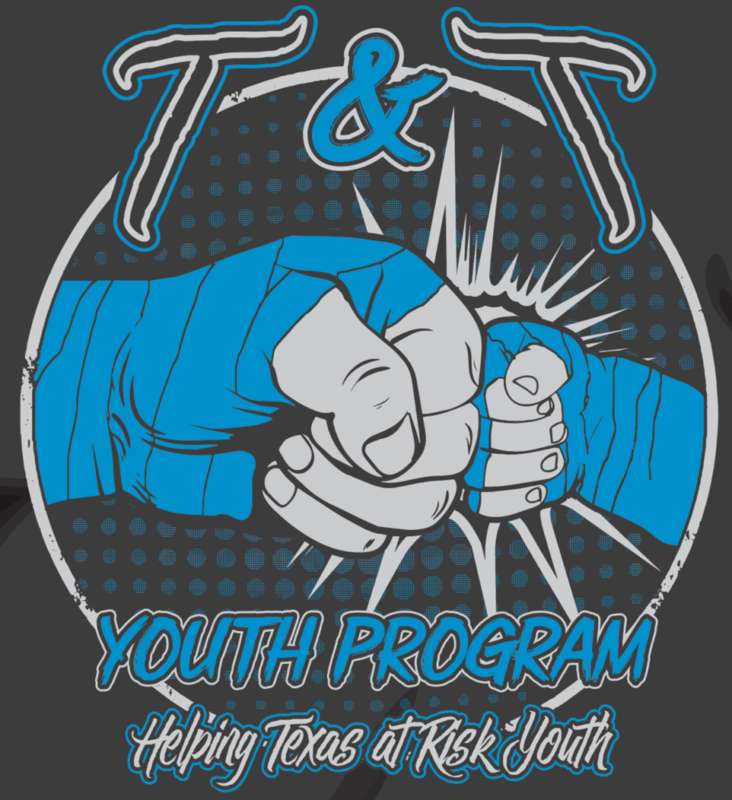 Mockup of the shirt is below, it will include the T&T Youth Program logo, and list all our supporters of this great “At Risk Youth Fight” on the back! All Showcasing personnel are waived and no donation is required but T&T appreciates any if given, thank you!